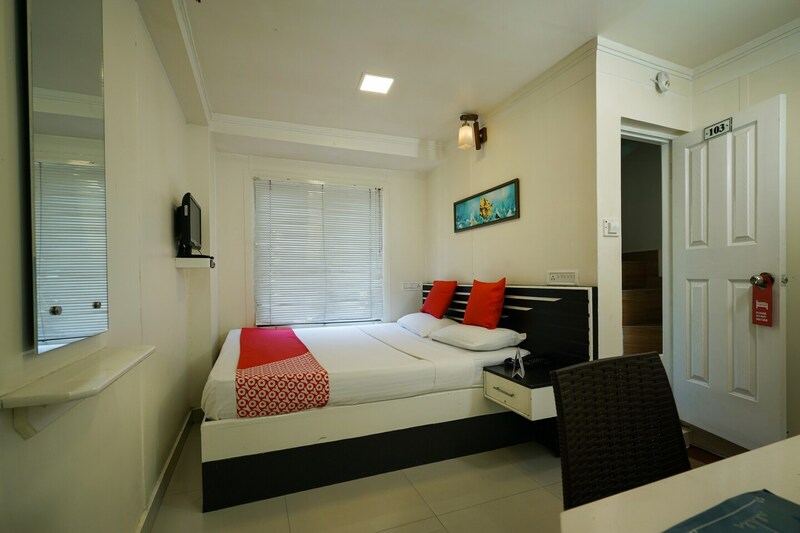 The modernistic building of Hotel Cocoa Tree welcomes guests to rooms that are contemporary in style and cosy in ambiance for an experience that is relaxing and refreshing. The rooms are designed in light tones, with small pieces of artwork, large mirrors and furnishings in complimenting shades. There are simple blinds covering the windows, through which sunlight comes in to brighten up the room. The property offers power backup, and also has a CCTV camera setup in place for extra security. Hotel Cocoa Tree is pet-friendly, so guests can bring along their furry friends to accompany them during their stay. Several restaurants are located close to the property, as are the Town Bus Station and Auto Stand, making travel easy for visitors.